Like the rest of the world, I was shocked by the sudden violence and hatred aimed at America’s people on 9/11. Two hijacked passenger jets-turned-missiles found their civilian target by hitting the twin towers of the World Trade Center, and soon afterward desperate office workers hurled themselves out of skyscraper windows hundreds of feet above the street as their buildings were engulfed in flames. Then those mammoth obelisks began to crumble in a heap of ash and smoke. A surprise attack killing thousands of innocent citizens on American soil? I sat transfixed, watching over and over as news stations replayed the horrific scenario. Unthinkable. Feeling overcome by fear and worry, I finally turned off the television and retreated to the quiet of my car. Bible in hand, I asked God to take away my fear and give me faith—and wisdom. No one really knew what we faced at that point. Nor did we know the source of the attacks. I was fearful for my family and my country as I thought about possible dangers in the days ahead. Nothing like this had ever happened on America’s soil. How could we have been so sound asleep? I grieved for the many who had lost loved ones in the attack, and I shuddered to think what this meant for years to come. Our sense of peace and security had gone up in smoke. In a matter of minutes, we had suddenly become a nation at war. Helpless, I simply asked God to show me how to respond. I wasn’t a soldier, just an ordinary wife and mother. How could I possibly protect those I loved? What could I do to help defend our nation? I began to feel the weight of concern for God’s people all over the earth. Gradually, the following thought came as a whisper: God, what would happen if I committed to praying for Your world? I wanted to believe that miracles could happen. But did I? What could one person do? Over the years, I had seen amazing answers to prayer. I had also learned from experience that God could be trusted to speak to me through the pages of Scripture. It’s no wonder that the Bible is referred to as being “living and active” (Hebrews 4:12). God’s Word never failed to strengthen my faith and remove fear. I sure needed help now. I began reading from 1 Peter, which was a letter addressed to early Christians who were facing great danger and persecution. Obviously, we were also facing great danger, so I wanted to see how Peter responded. In the letter, he shares survival secrets for what to do when times look darkest. “The end of all things is near,” he writes. Therefore, “be self-controlled and alert” so that you can pray (1 Peter 4:7 GNT). It had sure felt like the end of my world when I was watching the twin towers crumble in smoke. How odd, I noted, that Peter’s advice was not to run and hide, build a bomb shelter, panic, or fight, but to pray. And it was equally odd that the encouragement was not to have passion or power as a starting point, but rather self-control and alertness. As I pondered the passage from 1 Peter, I reasoned that in order for prayer to be as powerful as the Bible seems to promise, it needed to include a measure of precision, skill, and discipline. I envisioned a brain surgeon enduring years of education, training, and practice to develop the precision to operate in the delicate minefields of the mind, knowing just where to cut. I was eager to learn more about just how and where to focus my prayers, and for whom. In the quiet of my car, I purposed then and there that I would begin to pray with more practice and precision—and although I wasn’t a soldier, I’d sign up for a “tour of duty,” to be available to God in prayer, not just for my own needs and worries, but for the worries of the world. And since I hadn’t a clue as to what this should look like, I asked God to guide me. But how could I hear the voice of God amid all the chaos and turmoil in my head after the terrorist attacks? I continued to search the pages of the Bible. There I discovered another prayer mentor in the prophet Elijah. But I was curious. The Bible teaches us that no one is “perfectly righteous.” I paused for a moment, reminding myself of what I knew to be my only solid footing for prayer—the righteousness that comes by faith in Jesus Christ (Romans 3:22, 23). This understanding was crucial to my confidence in prayer. Elijah was known as a man who listened to God, and over the course of my prayer journey, I returned to his story often for instruction. Repeatedly in the Bible, we read that “the word of the Lord came to Elijah.” He saw miracle after miracle as he stepped out in obedience to God’s voice. I was sure Elijah would have plenty to teach me about how to pray during a time of crisis. The prophet had also faced his own personal battle with terror. After an enormous fight of faith in which he defeated a demonized mob of over four hundred prophets of Baal, Elijah was the target of a death threat by the wicked Queen Jezebel. Elijah’s deliverance came as he ultimately learned to hear God, not in the earthquake, wind, or fire, but in a gentle whisper. I sensed I should listen for God, too, not in the fiery drama that was unfolding after the terrorist attacks, but rather in “the still, small voice” of my heart. Somehow, I just knew that if God were to give me instructions about how to pray, it would not be in the first voice—the tumultuous roar I heard in my head, with its temptation to panic—but rather in the second voice, a voice of calm and reason. Practically speaking, I began to make some life changes to help me become more alert. If God was speaking, I wanted to be ready to listen. And like Elijah, I needed to find a way to get quiet enough to hear God’s whispers. Unfortunately, I had a weakness in keeping a schedule, and especially in getting up in the morning. Help to get me out of bed came in the form of a running buddy. My next-door neighbor, Susan, a nurse practitioner and busy mother of three, had discovered that 5:30 a.m. was a great time to jump-start her day. She invited me to run with her. Impossible! was my first thought. I could hardly pull myself out of bed at 7 a.m. to get the children to school. No way could I get up at 5:15. But I had promised God. Our world was in turmoil. I wanted to pray more than I wanted to sleep. And so I agreed. That first morning, the brutal alarm clock went off, and I awakened in a fog at 5:15. If I can just get my shoes on, I groaned out of my sleep coma. For a couple of weeks, morning felt like a death sentence. How could I do this to myself? But the two-mile run began to refresh me. The dark moods that sometimes hovered at the edge of my mornings became less frequent. And gradually, morning runs became easier, even joyful. Kind of like bikers who draft behind a fast-moving truck, I “drafted” behind my friend Susan in those early days of forming the habit of a morning run and prayer. I couldn’t have done it without the help of my faithful teammate. Best of all, I returned home by six, with plenty of time to have unhurried quiet to read my Bible and pray before everyone awakened. “I may be barely alive at five,” I would tell myself, “but I will be great by eight!” Or, “Don’t evaluate my day until I run, have my coffee, and pray!” And though I do recommend a “morning launch,” I recognize that everyone’s situation is different. Find out what works best for you. This set-apart prayer time gave me a new alertness that lasted throughout my day. One of the more intriguing things that happened after my 9/11 recommitment to prayer was what I call “voices in the night.” I can’t say that the voices were audible in the sense that anyone else could have heard them—my husband has not complained of hearing my “voices” at night. But each occurrence served to strengthen my faith in God’s Word, bring comfort, and in some cases, move me to action. The voices reinforced my call to pray. Two episodes, with two different lessons, stand out in my mind. Just days after the terror attacks, I had a dream so lifelike that I can still recall the images and the voice some ten years later. In the vision, I was in a low-flying aircraft looking down on a region populated with villages. I saw a huge lion prowling around, wreaking destruction wherever it went. The lion, as big as a building, would grab anything in its way and crush and shake it in its massive jaws. (No wonder Peter warned that the enemy prowls around “like a roaring lion, looking for someone to devour!”) How could this horrific beast be stopped? Suddenly, a strong, quiet, but audible voice pierced my sleep with these words: “Aren’t you glad you can pray for your family?” I woke up with a start, the voice still ringing in my ears. Where did the voice come from? Was it from God? Was it something I ate the night before? I don’t know, but all I can say is that it galvanized my commitment to pray. Sobered by the dream, I became much more intentional about praying for my family. I was left with the comforting assurance that prayer was a more powerful weapon than I had ever imagined. Though I had always prayed for family and friends, my prayers were usually fueled by a crisis. No doubt I was jolted into a crisis mode in the days and weeks after 9/11. But now I was eager to find a more powerful way to pray on a daily basis—and I wanted it to be sustainable long after the crisis had died down. Another “voice in the night” episode was a little more lighthearted than the first, but just as impactful. One morning during my Bible reading, I was reminded of how important my faith is to God. “Without faith, it’s impossible to please God,” the writer of Hebrews explains. “If we want to come to God,” he instructs, we “must believe that He exists and that He rewards those who earnestly seek Him” (Hebrews 11:6). My meditation throughout the day must have sealed these words in my subconscious (which I suppose is one of the best reasons to meditate on God’s words). That night, as I was in a twilight state, the same phrase kept ringing in my mind: God is Real and He is a Rewarder. . . . God is Real and He is a Rewarder. . . . When you get right down to it, that might be where most of us miss God in prayer. Do we really believe in the deepest part of our heart that God is real? And that He is our “Rewarder”? If so, then He has promised to respond to our faith with a “paycheck” of answered prayer. I realized that prayer and the reading of God’s Word weren’t meant just for devotional time. They were meant to be my life. I began to pray like it was my job. I continued to experiment with my prayer technique and watched for clues as to how I could pray for a world in trouble. God, show me who is on your heart, I would ask Him. I actually got out one of our children’s globes to get a better vantage point. As our world was shaken to its core by the aftershocks of 9/11, I began to turn my eyes outward, wondering how to pray for what seemed like a very fragile planet. I listened daily for my marching orders, remembering my analogy of the soldier, and I seemed to notice a kind of two-way communication developing between God and me. I became more sensitive to the needs all around me, which in turn, inspired more prayer. As I grew more serious about praying for the needs of my own family, I knew that God was also teaching me how to pray for His family—the world. So how do you pray for a world in such pain? I wondered. Maybe just one country at a time. I explored ways to fit prayer into my busy days. Quietly, simply, I continued to pray. For family, for friends, and for the world. The Bible seemed to be the perfect field manual. I followed the instructions in 1 Timothy 2:1 to pray for “kings and all those in authority,” so that we could live “peaceful and quiet lives.” Peace and quiet sounded good to me amidst the turmoil surrounding the terrorist attacks. I began looking in the newspaper and watching news reports for trouble spots in the world. I learned that if I would simply listen and be alert, God would show me where to focus my prayers. I began to pray for specific countries and even their presidents. The children’s globe made a good visual reminder to be more precise in my focus. I located suspected trouble spots. I prayed for the protection of the innocent, and especially for God’s people in each nation. I prayed for those in authority—for God to change their hearts and thwart every evil attack. My first prayer alert for a nation was sparked by a newspaper article about the Sudan. An October 11, 2001, article in the Charlotte Observer revealed suspicions that terrorists were being launched from Osama bin Laden’s camps in Southern Sudan. Word had been leaking out for some time that this vast land, as large as the entire United States east of the Mississippi, had suffered massive genocide at the hands of the extremist government in the north. Under the radar of the world’s eyes, this region was also a breeding ground for the terrible events of 9/11. This nation desperately needed prayer. So I committed to praying for the Sudan. I prayed for the suffering, for leaders, for evil to be thwarted, and especially for the persecuted followers of Christ. As God enlarged my view, I gradually began to pray for other nations as well. News reports, Internet articles, and even casual conversations prompted prayer. No matter where I was, I found I could pause and pray. It took just about a minute to pray for a nation—I timed it. Mondays I prayed a minute for the Sudan, Tuesdays it was India, and so on. The prayers for nations were sandwiched in between prayers for my husband and children, family and friends, neighbors—all of whom I loved “close-up.” I realized quite quickly that this method was compatible with life on the go. God was reminding me to pray throughout my days, simple as that. It seemed that He was teaching me a new strategy, and while answers didn’t always come when I wanted or in the way I envisioned, answers did come. I found myself reading God’s Word with an increased sense of expectancy. If I did my part to diligently seek God, the promise from His own Word was that I would be rewarded. That reward, I was to learn, included not just answered prayer but a greater awareness of God and His work all around me. This awareness spilled over into everyday life. Scripture came alive and the flywheel of prayer was turning. Prayer even became a gift I could give to others—sometimes without their ever knowing it. I began to understand what Paul meant when he talked about “praying without ceasing.” This was actually becoming fun. The Bible often links prayer with the reading of God’s Word, and for good reason. God tells us that much like the rain comes down from heaven and waters the earth, yielding “seed for the sower and bread for the eater. . . . so is my word that goes out from my mouth.” So I learned to “sow” the Word into the daily situations of life. Then God adds, “It will not return to me empty, but will accomplish what I desire and achieve the purpose for which I sent it” (Isaiah 55:10, 11). In time, I discovered that God’s Word often had a specific word—an actual word, or maybe a phrase or an idea—just for me, if I were patient enough to search for it. I began to call that word a “watchword.” I knew that God intended for me to use it in prayer. God loves to surprise His children in much the same way we as parents love to surprise ours. As I prayed more for His world, it seemed He was increasingly active in mine. One of my personal answered prayers still makes me smile when I think about it. Instead of their shame, God promised to give His people a double portion—“double for their trouble” (Isaiah 61:1–7). The theme of restoration after a time of suffering is one I encountered again and again. Return to your “place of safety,” for there is still hope, God tells the brokenhearted children of Israel after years of captivity. He promises to repay them “two mercies for each of your troubles” (Zechariah 9:12 NLT). There it was again. God restoring double to the brokenhearted. This gave me hope as I continued to pray for hurting people and a hurting world. During this time, Kelly, the daughter of my friend Leta, became pregnant; but several weeks into her pregnancy she was devastated when she suffered a miscarriage. I was so sad for Kelly, whom I had known since she was a child. One morning, I reflected on the words in Zechariah 9:12—“Return to your stronghold, O prisoners of hope. . . . Today I will restore to you double” (ESV). I paused for a moment, suddenly prompted to pray those words of promise for Kelly and her husband as they mourned their loss. God loves to restore broken things, I reminded myself. Lord, give Kelly a double blessing to ease her pain. I called, eager for more details. “You won’t believe what we just learned,” Leta said with a laugh. “You have been praying for Kelly to be restored double. This week, we learned she is having twins.” Though I was just one of many who prayed, I felt like I had been given a front-row seat to God’s special miracle. Kelly and her husband, Jason, rejoiced together about the goodness of God and His character as a “double blesser.” Now little Kanah and Grace are daily reminders for them of how God loves to restore double for your trouble. Just for fun and as a constant reminder for me, I ordered my first personalized license plate for my little Volkswagen: RESTORE2. Ten years later, with much practice and learning under my belt, I have seen countless answers to specific prayers, both small and large. My circle of close friends now extends beyond the suburbs, stretching from inner-city Charlotte neighborhoods to genocide-torn villages in Africa. I am astounded when I think of the ways God has answered some of my “globe-sweeping” prayers. I am also amazed as I’ve watched Him intervene in the personal lives of those I love. The secret, I believe, is in the asking, in the listening. In being alert. 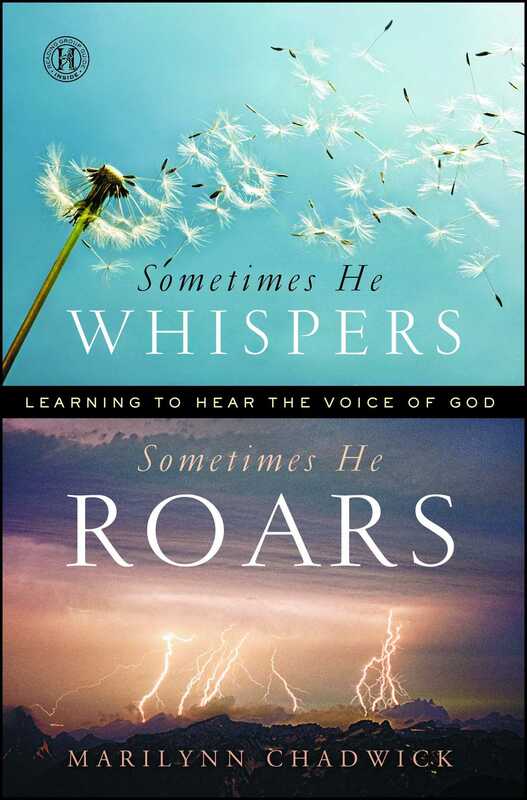 Sometimes God whispers, sometimes He roars. I am learning to hear the voice of my Father. 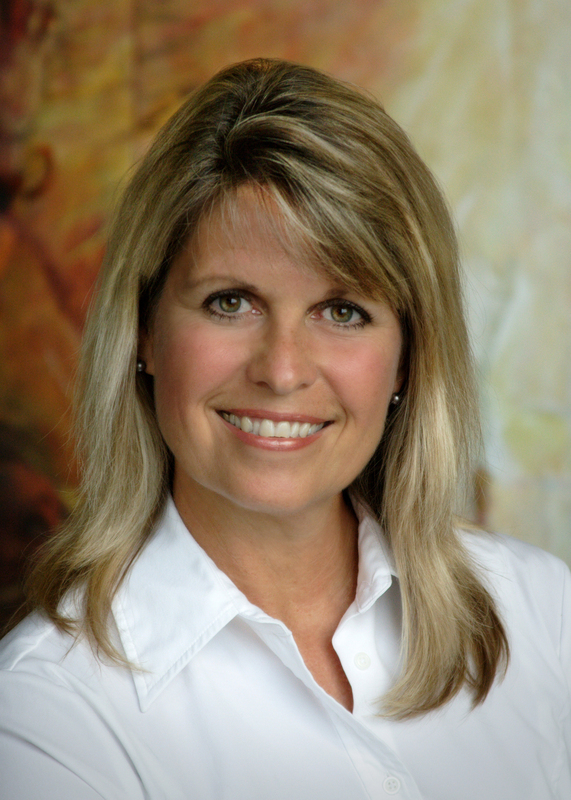 Marilynn Chadwick has been a frequent conference and seminar speaker at Forest Hill Church (with a membership of nearly 5,000) where her husband David Chadwick has been senior pastor for over thirty years. She has a degree in journalism and a master’s degree in counseling and has traveled to nearly thirty countries on six continents. She is on the Forest Hill church staff in the area of global outreach and also is part of a non-profit organization called SEEDS of Hope, which provides education to those with limited resources but big dreams. Marilynn and her husband have three children and one grandchild.